People have always dreamed of flying ... of conquering the sky, of getting closer to the clouds from above and enjoying of breathtaking landscapes. Unfortunately, we can’t have wings ... but a paraglide, yes! What are you waiting for? Experience the adrenaline rush that only a paragliding can offer you!  You have to challenge currents to enjoy the Valsesia by a all-new point of view, and reserved for the few! Do you want to be among them? Are you already an expert? Here is the indication of some launch points. Are you a beginner? Don’t you worry! There are instructors ready to guide you and two-seater guides ready to fly with you and make you live an unforgettable experience!